Everyday adventures of a Canadian-Pakistani family passing on the love of culture and Urdu to the next generation! I’m super excited to be reviewing Ali Huda today which is an on demand streaming app for Muslim Kids similar to Netflix. As I enjoyed the content with my children, the quality reminded me of Sesame Street. Much like Sesame Street, we had lots of fun but also learnt along the way about core Muslim values and much more. Ali Huda got a big thumbs up from my kids. Let me tell you all about it here. Ali Huda is a subscription based service to watch video on demand specially curated for Muslim kids. What I loved is that there are no ads and you (and your kids) can watch it on your iPhone, Android, iPad, Tablet, Laptop, Apple TV and Chromecast. It can be watched from anywhere in the world and appropriate for children age 2 – 12. Just like Netflix, there are many fun shows but specially created for Muslim kids. There is lots of learning in a fun way through stories, songs, puppets and cartoons. My kids (age 6 and 3) were mesmerized. As they watched the shows such as Baba Ali, Quran 4 kids and Amani & Zhirk Practice, they sang, laughed and most importantly learnt lovely lessons about Islam along the way. As parents we often worry what our children are exposed to. The content on Ali Huda is safe, there are no ads and the learning about core concepts in Islam is presented in engaging and age-appropriate ways. Best part: you can save the videos to view later too when you don’t have wifi! I liked how all teaching was on core values in Islam which all Muslims agree on around the world regardless of ethnicity and practices. Each family can tailor the conversations after the show according to their own preferences. So how much does it cost? It’s $7.95/month or $79.50/year. Ali Huda offers a free trial for 7 days so that you can experience the content with your children. You can cancel anytime. Here’s the link to learn more and sign up! Disclaimer: I earn a commission when you sign up using the URDUMOM code! 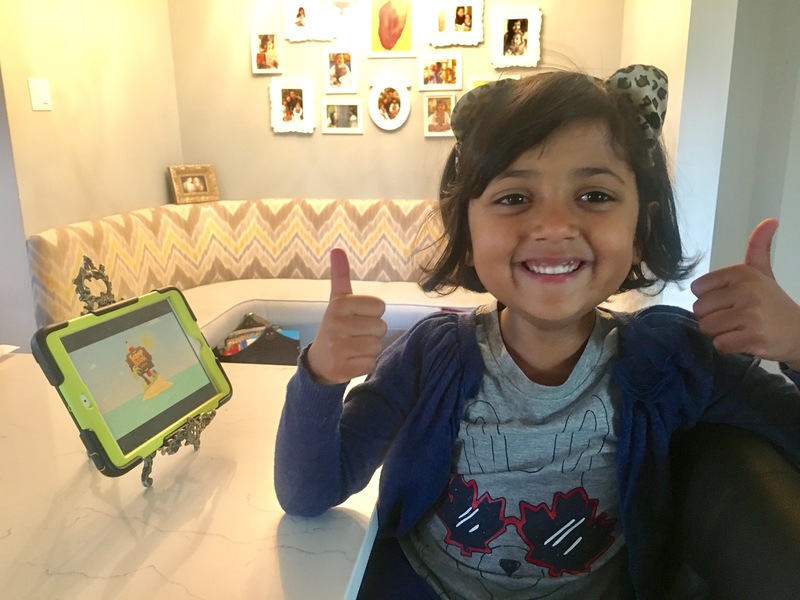 We received the subscription for free to review and I honestly loved it along with my kids. I’m sure you will too! Ali Huda has plans to add many more fun shows. They will be supporting content producers to have more shows specifically for Muslim children. They donate 10% of the profits they earn through subscriptions to the UK based charity Orphans in Need. Join our Urdu Story Time every Saturday! Desi Dinner Planning: Host a Stress-Free "Dawat-of-the-year"
Pedalheads Review: Teaching Children to Bike and Lots More!